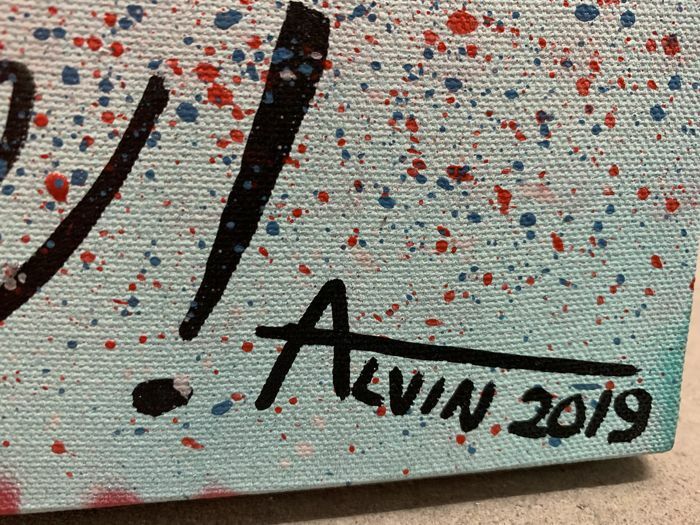 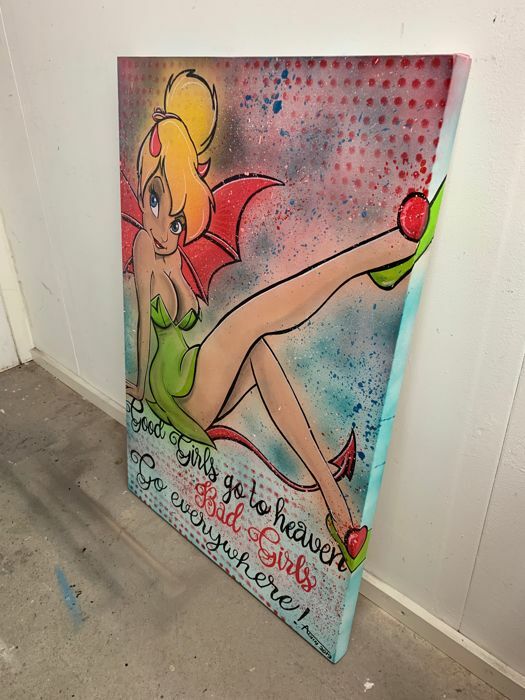 Modern hand-painted pop art painting by Dutch street/pop artist and professional illustrator Alvin Silvrants. 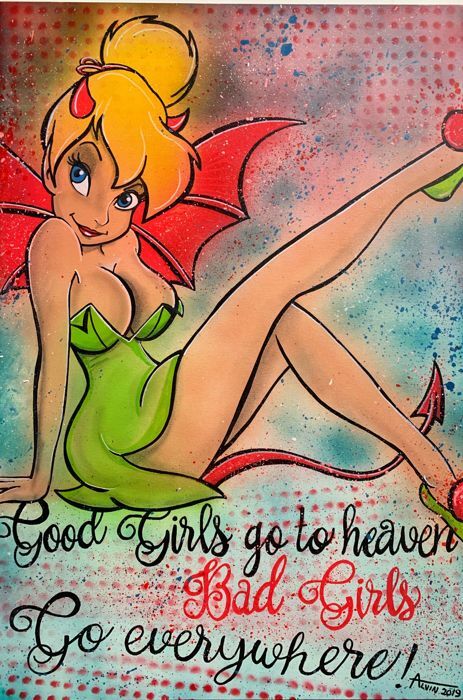 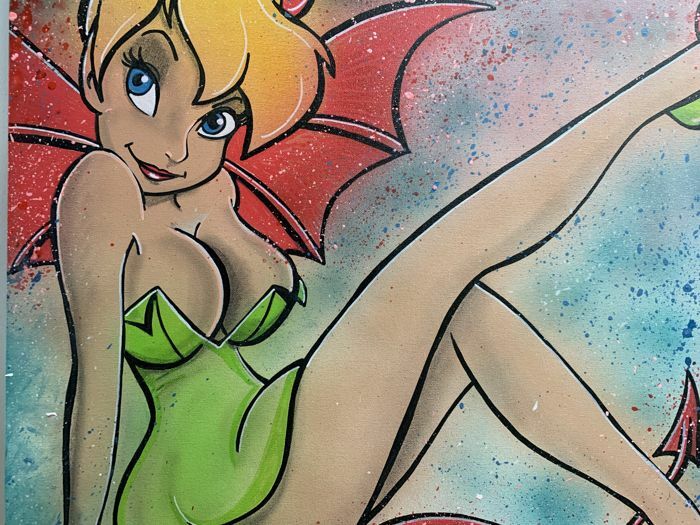 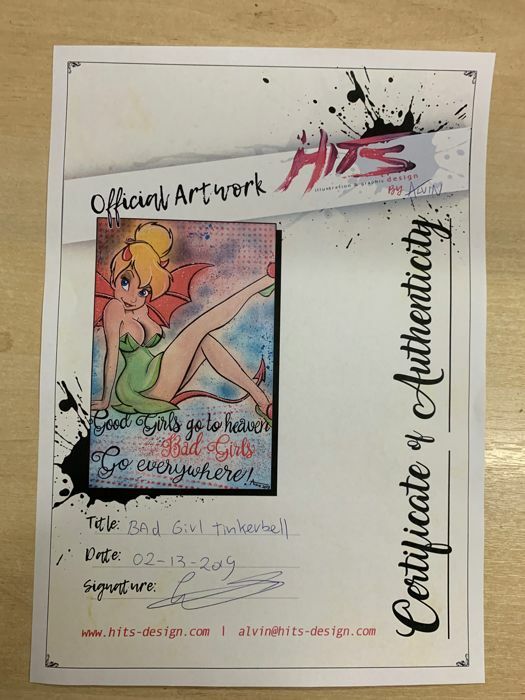 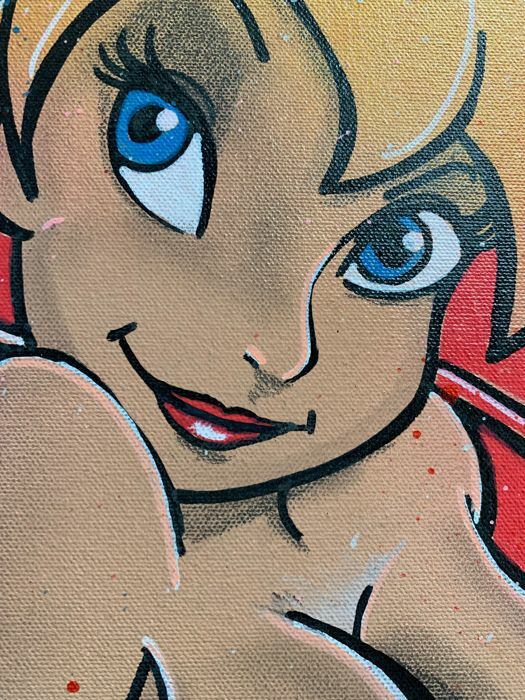 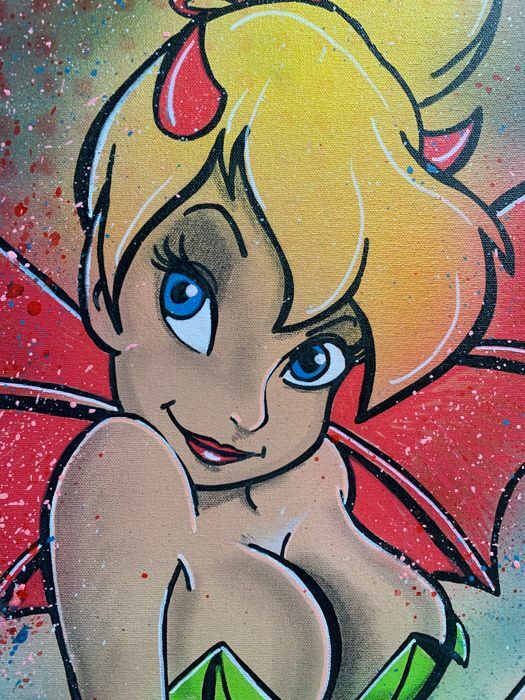 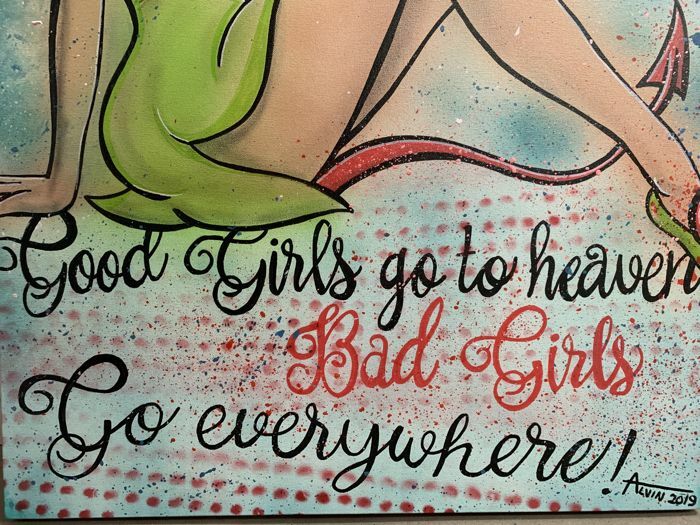 “Bad Girl Tinkerbell” with acrylic paint and spray can on a heavy 3D canvas. 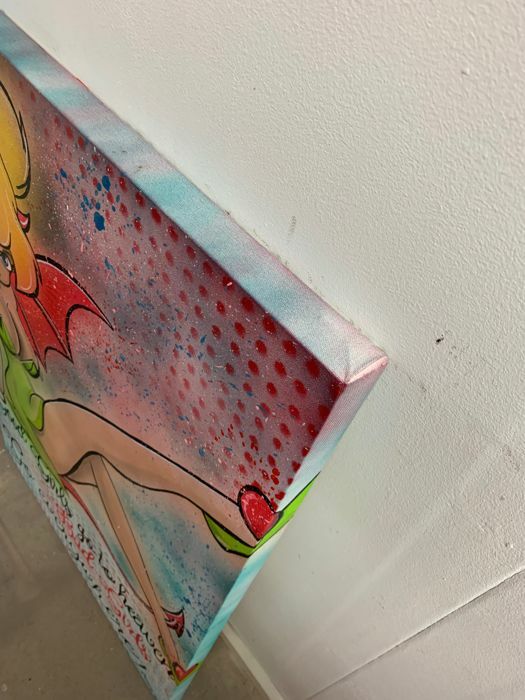 Finished with double layer of varnish. 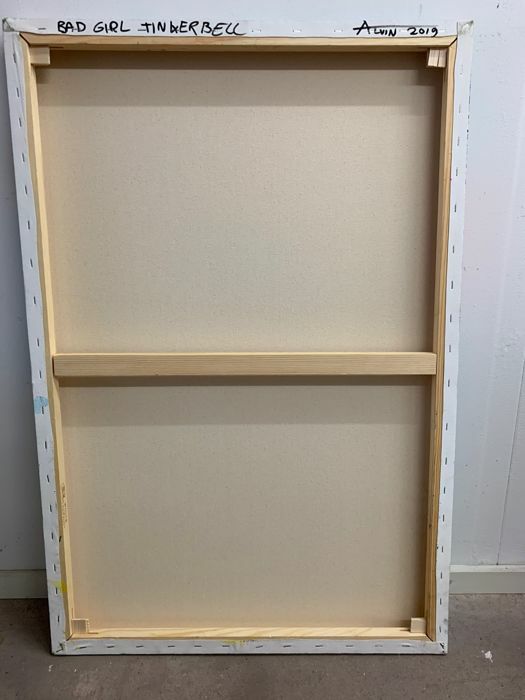 You can pick up this lot from the seller: Heythuysen (), Netherlands.